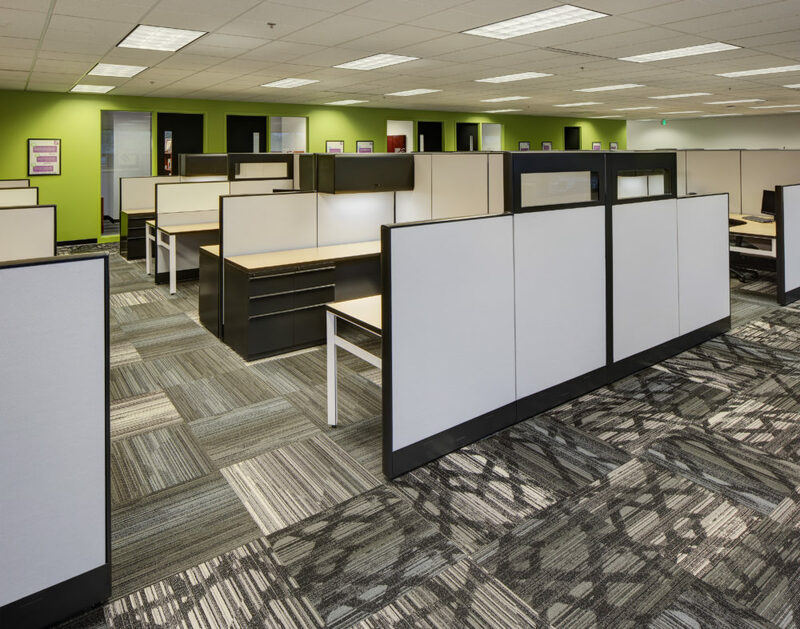 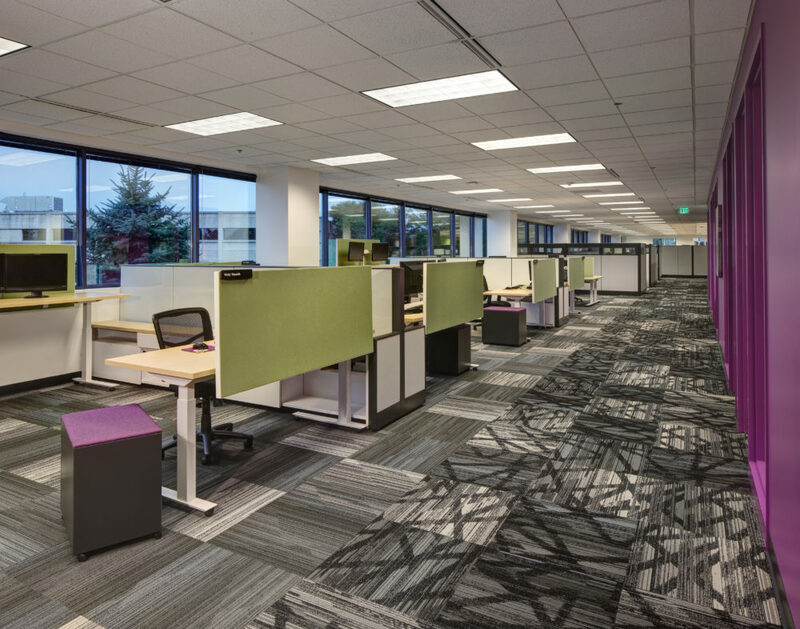 Creative Business Interiors completed a multi-service project for IFS North America’s new 14,000 SF office located in Brookfield, WI. 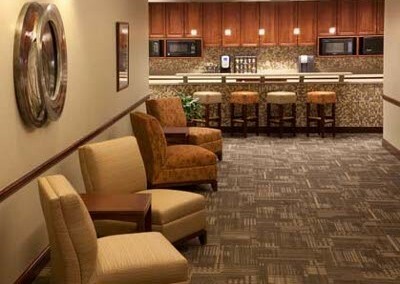 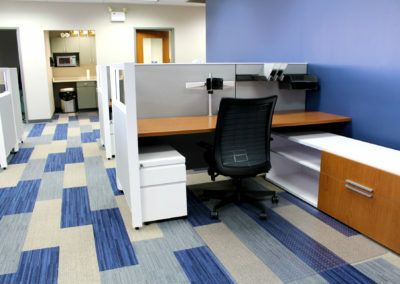 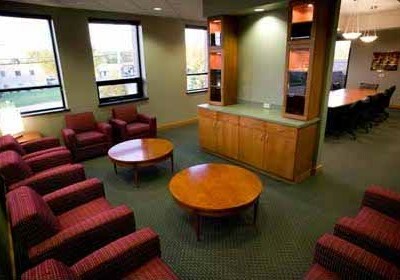 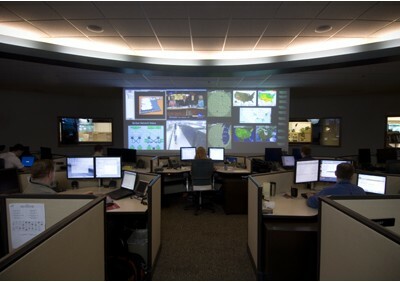 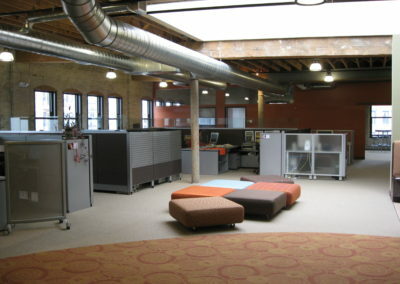 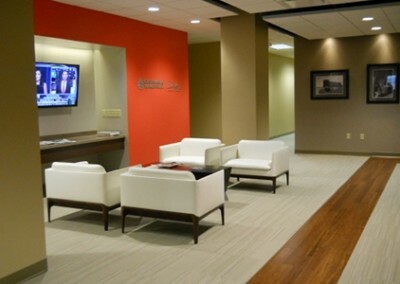 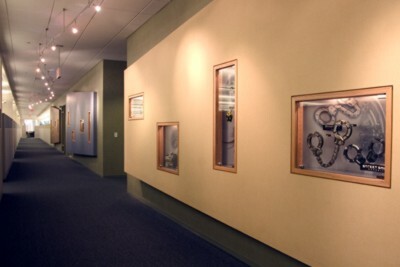 Our team had to work very closely with the client to merge two of IFS’s Milwaukee offices into one new location. 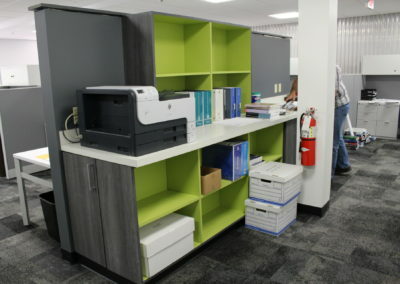 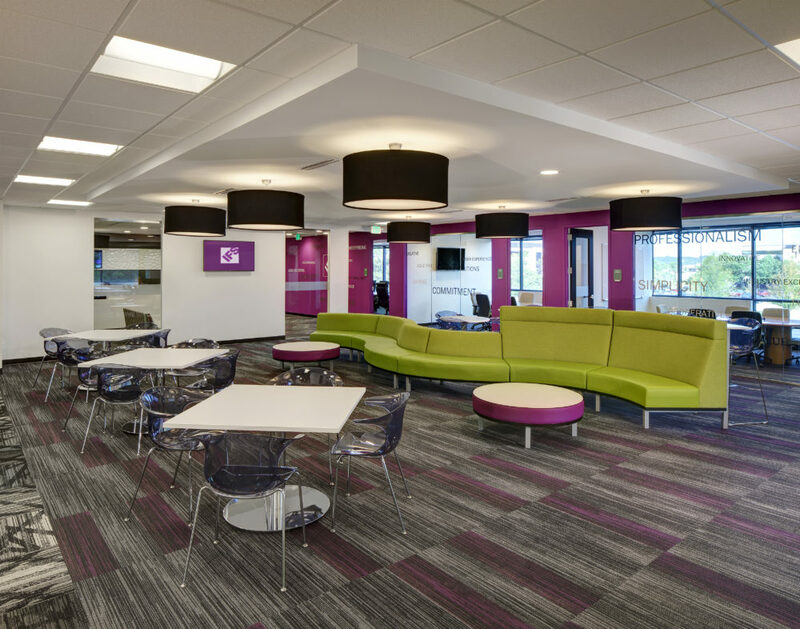 The design challenge involved updating the work style of the office staff – moving most staff from private offices to open office areas. 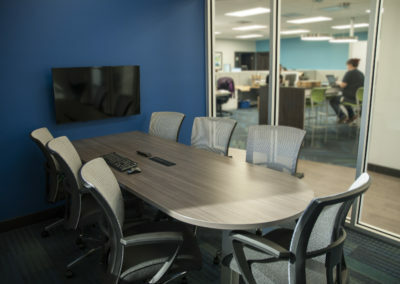 The space plan for the new office fosters collaboration and communication by creating more open office space for primary work and incorporating more open, collaborative conferencing areas than their previous locations. 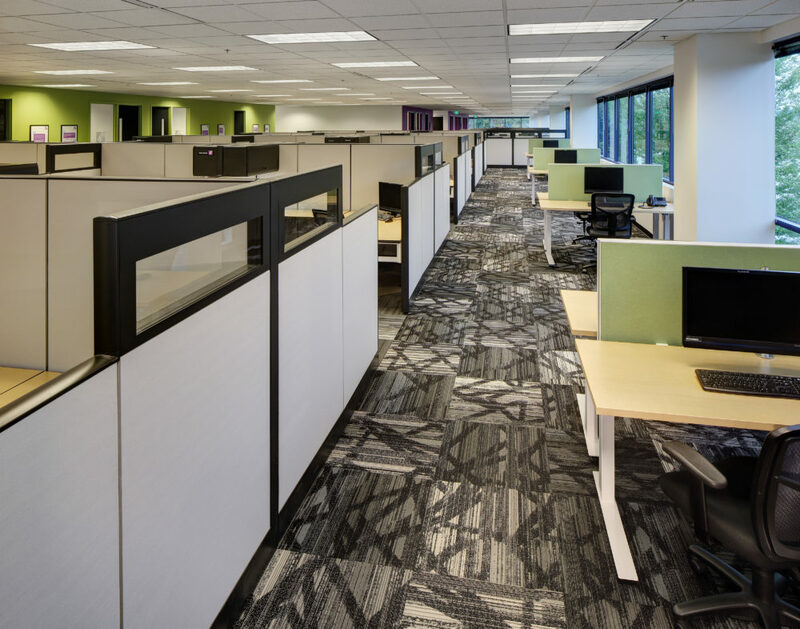 Options for focused work, informal/social interactions and teaming efforts were highly considered in the planning of the new office. 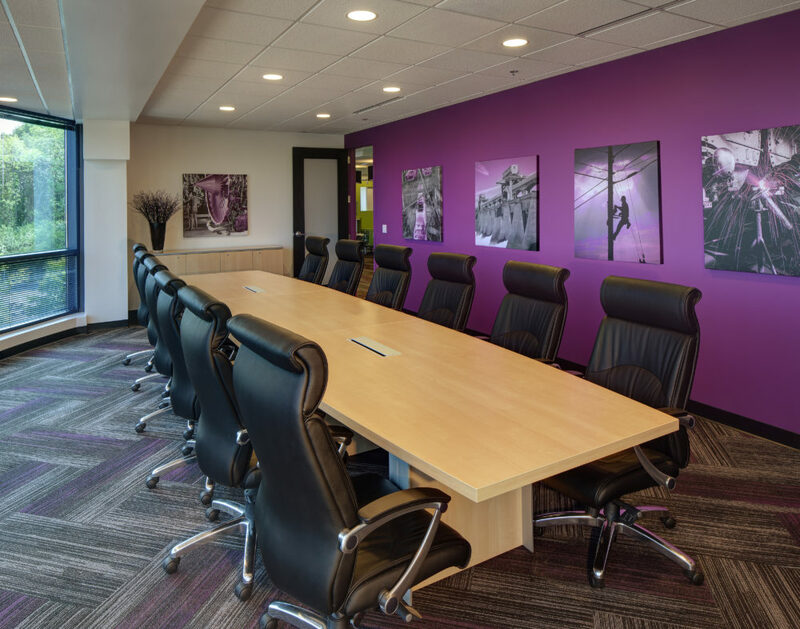 The client’s international headquarters in Sweden was inspiration for IFS’s new Milwaukee office with bright white walls complemented by pure, saturated accent colors in the corporate colors.